One Sure Insurance is a leading HGV insurer. Since 2008, we have been covering drivers of single trucks, self-employed drivers and company fleets. No policy is too complicated for us. As standard, we cover all HGV's, Lorries and Trucks from 7.5 Tonne all the way up to 44 Tonne. We can give you added benefits and extras where needed; or simply offer a policy that covers you to drive your HGV - it's as simple or as complex as you need it to be. Our trained commercial HGV insurance specialist advisers are always ready to answer your questions, and can even provide help and guidance with getting you the best cover for your needs. We'll take all of the relevant details from you, and work tirelessly to obtain the most competitive truck insurance quote for your needs. Whether you're a self-employed trucker, or a company operating a fleet of HGV's - our specialist trained advisers will be able to compare truck insurance quotes for you, and deliver you an insurance policy that offers the best price with the cover you need. That's just part of the One Sure Insurance way of doing things! Through the years, we have insured thousands of 7.5 Tonne HGV's. They are often considered the "backbone" of the HGV industry, and can be found on all stretches of the UK's roads and motorways. They are best used for the transportation of goods and materials. As a broker, we are able to cover 7.5 Tonne vehicles through our specialist insurance schemes. Backed by multiple underwriters, we can shop the market to find the best cover for your 7.5 Tonne vehicles. Cover doesn't need to be expensive, as we can often negotiate with underwriters to obtain you the best possible price on your 7.5 Tonne. We take into consideration your unique circumstances - such as total mileage, the type of goods you'll be transporting and your safety / claims record (no claims bonus etc). We use all of this information to help us beat the competition and provide you with a quote that you're happy with. Common 7.5 tonne trucks are those used for recovery trucks. However, there may be other suitable policies available for you if you operate a recovery truck. Consider looking into getting a motor traders policy if you recover and transport customer vehicles - as a motor traders policy may give you additional perks related to your business, and may even prove to be cheaper than a standalone HGV insurance policy. As one of the UK's largest HGV Insurance brokers, we have access to specifically tailored insurance policies for the majority of 10 tonne lorries on the UK roads. We know just how important your 10 tonne lorry is to your business - and so we provide comprehensive insurance policies that will keep you on the road; whatever happens. In some cases, we are able to combine our insurance policies with breakdown cover - giving you complete peace of mind. We offer a 360-degree custom-tailored insurance policy for drivers who operate any kind of HGV up to a weight of 44 Tonnes. Our members of staff are specialised in referring quotes over to underwriters to obtain the best possible pricing. We look at your businesses unique circumstances, and work directly with you to try and secure discounts where possible. We know and understand just how important your lorries are to you - and that's why we offer such a personalised service. Whether you're a single driver, or you manage a fleet of 44-Tonnes, we'll be able to help. We are one of the few UK brokers who specialise in providing cover for Skip Lorries. While most insurance brokers shy away from them, we embrace this niche market and often provide the most competitive quotes in the market. We are able to look at your skip lorries on an individual basis, and provide the insurance cover that's right for you. We are able to offer commercial skip lorry insurance policies that protect your assets, giving you complete peace of mind. Whether you run a national operation, or simply drop-and-collect skips in your local city, we are able to get you booked on cover at a reasonable price. For a competitive skip lorry insurance quotation, simply give one of our members of staff a call! As part of our commercial HGV insurance schemes, we are often able to secure discounts when you choose to insure a whole fleet of vehicles with us. Many of our underwriters will look at your businesses circumstances, and offer a unique commercial policy to suit your needs. Whether you're operating 7.5 Tonne Trucks, 44+ Tonne HGV's or long wheel base Lorries, we'll be able to add them all to a single policy giving you complete peace of mind. We can look to include owner operator truck insurance where needed - giving you the flexibility you need to make sure that your business runs smoothly. We can also look to include "any driver" cover if required, or simply allow you to add named drivers to the insurance policy. Our trained advisers will be able to help you decide on the best cover for you. Why Should I Trust One Sure For Truck Insurance? If you're on the market for competitive HGV Insurance, give us a ring today for an extremely competitive quote. No matter whether you're driving a 7.5 tonne lorry, or a 44 tonne truck, we'll be able to provide comprehensive or third-party insurance cover to help you stay on the road for longer. We're so confident that you'll be happy with our HGV insurance quotes that we're willing to offer a 48-hour price guarantee on all of our quotes. When we shop the market, and compare truck quotes for you, you are backed by our 48-hour guarantee. If you find a like-for-like policy within 48-hours, then we will either further discount the policy price or give you a complete refund - no questions asked. That's why our customers choose One Sure Insurance for unbeatable HGV, Lorry and Truck Insurance quotes that are backed by an iron-clad 48-hour guarantee! 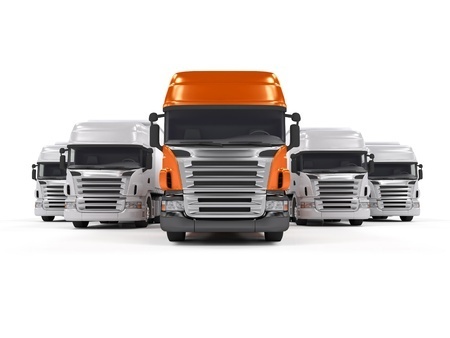 We are able to provide insurance quotations for all on-the-road HGV's, Lorries and Trucks. Whether you're looking for HGV Insurance, Lorry Insurance or Truck Insurance, our trained specialist advisors are on hand to shop the market for you and obtain the absolute most competitive quote for you. We have also recently launched a new insurance product line, specifically made for Forklifts. We find that we're extremely competitive when it comes to Forklift Insurance - and that's a promise - so give us a try today!